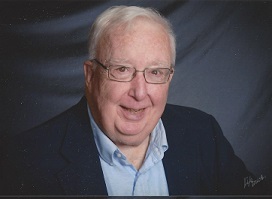 PORTAGE – Thomas J. Waldron, age 74, passed away on Friday, March 22, 2019 at Divine Savior Hospital in Portage in the presence of his loving wife. Tom was born on June 20, 1944, in Glencoe, Minnesota, the son of Thomas and Lydia (Schuette) Waldron. He grew up in Glencoe on the family Century farm in a time when they baled hay from a horse drawn wagon. He married Nancy Schroll on May 10, 1969 in Stayton, Minnesota. Tom was a first generation college student and had thought about becoming a teacher. He ended up going into agricultural sales, but Tom was always a teacher at heart. He taught us to put God first, to love unconditionally, to be an active member in our community. Tom was the best storyteller, and has left all of us with many of our own stories to tell. He was a member of St. Mary of the Immaculate Conception Catholic Church in Portage, and was a 4th Degree Knight in the Dr. C.W. Henney Knights of Columbus Council #1673. Tom was a past member and officer of the Portage Optimist Club, as well as coached baseball for the Optimist League. He was also a past member of the Portage Jaycees, Portage Curling Club and Portage Country Club. Tom is survived by his wife, Nancy Waldron, of Portage; his daughter, Marci (Darren) Kuhn, of Luxemburg; his daughter-in-law, Christine (fiancé Walter Koller) Waldron, of Whitefish Bay; his grandchildren, TJ and Emi Kuhn, and Cora Waldron; his twin brother, Jim Waldron, of Hutchinson, Minnesota; his sister, Marge Walker of Bloomington, Minnesota, nieces, nephews, many other dear relatives and many close friends. He was preceded in death by his parents and his son, Joseph Waldron. Mass of Christian Burial will be held at 11:00 a.m. on Tuesday, March 26, 2019 at St. Mary of the Immaculate Conception Catholic Church, 305 W. Cook St., in Portage, with Fr. Gary Krahenbuhl presiding. Burial will follow in St. Mary’s Cemetery. 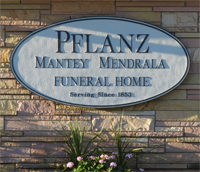 Visitation will be held from 4:00 p.m. until 7:00 p.m., on Monday, March 25, 2019 at the Pflanz Mantey Mendrala Funeral Home in Portage (www.pmmfh.com) with a prayer service conducted by 4th degree members of the Knights of Columbus prior to the start of the visitation. Visitation will also be held from 10:00 a.m. until 11:00 a.m. on Tuesday at the church. In lieu of flowers, the family suggests memorials to Greater Portage Youth Education Foundation, Inc., PO Box 872, Portage, WI 53901, www.GPYEF.org,or St. Mary’s Church or School, www.stmaryportage.com.